OK, I understand almost all of the holidays that we observe and why. Holidays such as Easter, Thanksgiving, Christmas, Memorial Day, Veteran’s day, etc., all make perfect sense to me. They are days that should be revered and honored. However, I have a bit of a problem with Labor Day. What are we celebrating here? If it’s labor, we have a fair amount of our nation who have no concept of a hard day’s work. And, if we are celebrating labor, why don’t we observe it by working twice as hard that day than any other day? I have never observed nor participated in this holiday, and neither did Riverview while I was running it. However, Cader IV, does give everyone off for Labor Day. That is perfectly fine with me because I have the office all to myself, which means that I get to set the thermostat at a comfortable level for me. Sharing an office with my son, the Eskimo, keeps me shivering for the half day that I am in the office, even in the dead of summer. I have come up with my own version of Labor Day, which is a hybrid version of other holidays such as Groundhog Day. Labor Day in the south is when the gopher tortoise crawls out of his hole. If it is hot and humid, that means he has six more weeks to prepare to share his home this fall and winter with his roommates, the rattlesnakes. I think that if I were a gopher, I would spend the winter in my hole with one eye opened all winter. 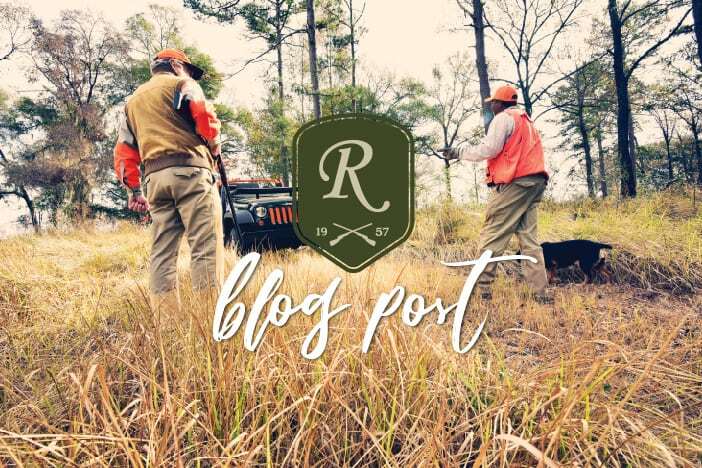 Labor Day is also the point at Riverview when we really shift gears, and devote all of our resources and time to hunting season. All of the jeeps have been gone through from bottom to top. The new jeeps have been painted while the few that were mistaken for a quail have been sanded and repainted. We begin to shape our hunting roads up, and also start the process of bringing our Lodge grounds and cottages out of six months of dormancy. I have never quite figured out how we can close down in late March with everything running like a well-oiled machine. But, when we begin going through everything in early September, there are AC compressors out, toilets that have ceased working, dried out and cracked washers, leaks in water lines, etc. Some of these problems are just normal wear and tear while others are manmade. There are two employees on Riverview whom I have never met, but I sure would like to know them. When I see a dented tailgate on a truck, a run over and busted drain valve, a missing tool, etc., I always ask, “Can someone tell me who did this.” It is always one of two employees, “Not ME” and “I DON’T KNOW.” If I could ever locate those two rascals, I would fire them in a heartbeat. At any rate, the most important thing that I would impart to you is that we have been doing this for going on 61 years now. Even a monkey gets good at something if he practices long enough. Thanks to abundant rainfall, our food plots, natural cover, and woods are beautiful. We have spent a lot of time with our pointers, setters, English Cockers, and guides. They are all chomping at the bits and ready to go. All we are missing is you—if you have not called to make a reservation yet. Normally, our available dates start shrink rapidly after this holiday weekend. I haven’t polled them yet, but I doubt that the quail are all that excited. However, if they will just fly straight away, many of them will survive. It’s when they start changing directions that some of them accidentally run into a shotgun shell pattern. Think about that last one, folks. Don’t put off enjoying a trip to Riverview because you are too busy. Come see us this fall or winter. In the meantime, I hope you and your families are enjoying a great summer, but I think we are all about ready to kiss summer goodbye, and welcome football season, quail hunting, and crisp nights and cool days!